The last thing you want to do after a savage bike ride is fumble with whatever means you use to get your bike home. Yakima’s latest premium bike hauler is so easy that using it takes as little thought as it does energy. 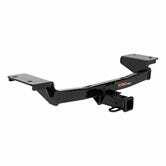 If you have a vehicle with a trailer hitch, Dr. Tray is here to care for your bike. After slipping my mountain rig off and fluidly locking it up and out of the roadway, a middle-aged rider uttered an unsolicited “Nice!” just as the rack’s hinge audibly locked into place. It was the kind of exchange that makes you feel cooler than you are, and it set the stage for an exceptionally good afternoon on the trails. Having owned everything from sports cars to pick-ups while actively mountain biking, I’ve experienced the gamut of hauling options. Minimalist fork-mounts, rails, hook-and-strap trunk mounts, hitch-mounts, and custom aluminum contraptions have all hauled my gear, but none of them compare to security, durability, and simplicity of Dr. Tray. Installation is easy and low-impact. Slip either a 2-inch or 1 1/4-inch Dr. Tray into your like-sized receiver hitch, set the lock pin, and rotate the triangular knob until it is secure. No wiggling, no wondering if the hauler might fall out on the trail-road or wobble your bike off of it. Yakima’s locking system provides inner pressure to make Dr. Tray solidly part of your vehicle. The SKS lock ensures it stays that way. Pull the over-sized lock release handle, rotate Dr. Tray downward —almost touching the ground if you prefer, and the rails are ready for one or two bikes out of the box. 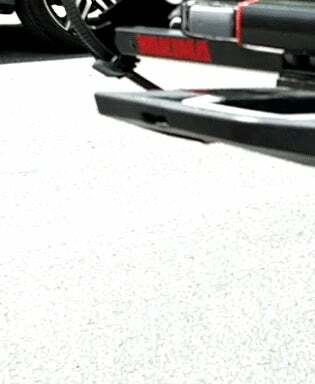 Yakima even makes an EZ+1 rail that (wait for it) easily adds capacity for one additional bike. The rails can be adjusted to provide up to 18-inches of clearance between bikes, eliminating the potential for blemished frames during transport. 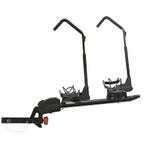 A ratchet strap common to most Yakima carriers secures the rear wheel while an adjustable arm for 26-inch wheels, 29ers, 700c, and even 5-Inch wide fat tires secures the front. Security comes in the form of a rubberized steel cable whip with an SKS lock on the end. 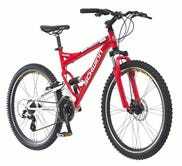 Route this through your frame and lock it near the rear mount. Your bike isn’t going anywhere you don’t want it going. The most expensive bottle opener I own. The lock-whip does double-duty to secure your rails and rail parts to the rack when there are no bikes attached. This is just one bonus feature that Yakima’s attention to detail blesses us with. Another is Dr. Tray’s ability to open a post-ride beer - a function that I first noticed and only chuckled at. It’s an afterthought that quickly became my favorite thing to show off. 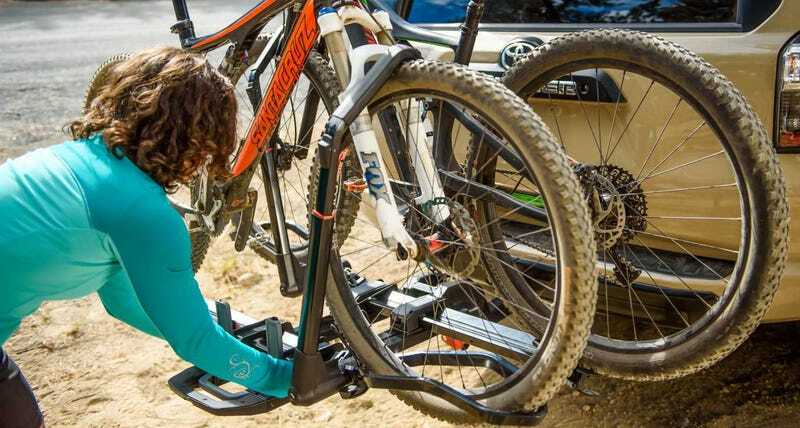 Dr. Tray’s MSRP of $579 classifies it solidly as a premium bike rack, and prices it comparably to similar haulers like the Thule T2 and Swagman Semi 4.0. It’s a cost easily justified after just a few rides, and long forgotten years later when it’s still part of your gear. This rack makes transporting your bike so safe, secure, and fluid that it almost beckons you to ride more often.